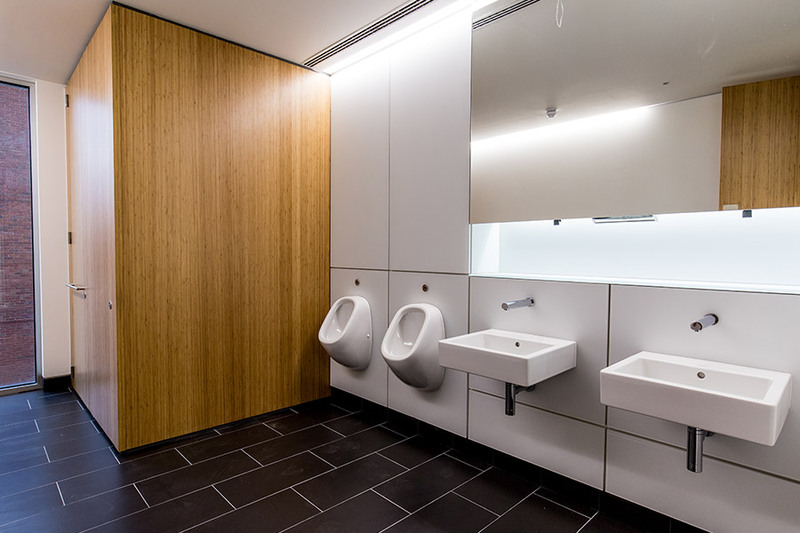 We’ve installed new washrooms as part of a new office development in the middle of London’s old legal district. We installed new washrooms throughout the building featuring our popular Alto toilet cubicles which include DDA compliant stainless steel cubicle locks and hardware. The full height flush fascia cubicle doors provide an attractive seamless façade as well as complete privacy for users. 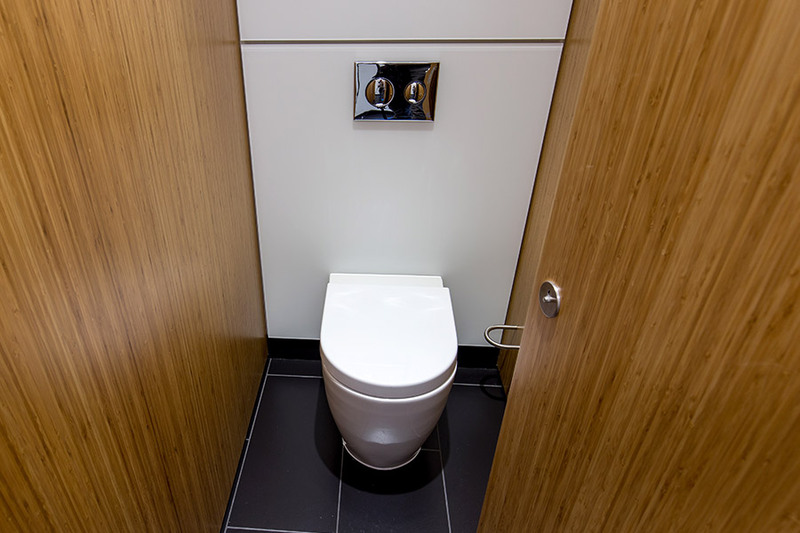 The toilet cubicles were faced with eco-friendly Bamboo veneer for a unique design statement. Manufactured from laminated blocks of bamboo which are then sliced and sanded before being backed with a fine fleece material to give it extra strength, Bamboo veneer is a highly sustainable option as it can grow at a phenomenally fast rate. Our Concerto integrated duct panels were installed by the team to provide a smooth, clean finish as well as ensuring ease of access for any future maintenance. The panels, which we installed behind the WCs, urinals and around the vanities, were faced with toughened back-painted and acid etched glass for a contemporary matt effect finish. 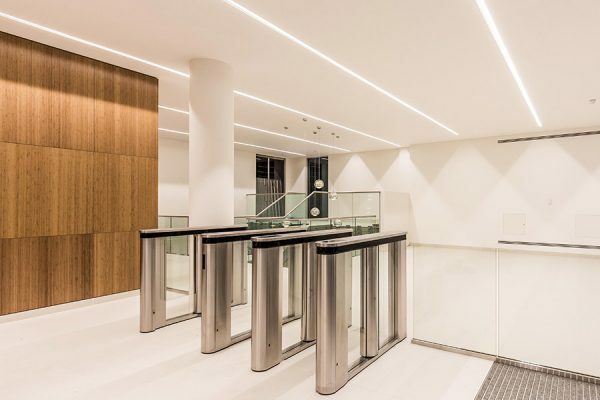 The process not only delivers greater consistency and uniformity across each panel, but it is also low-maintenance even reducing fingerprints on the surface. 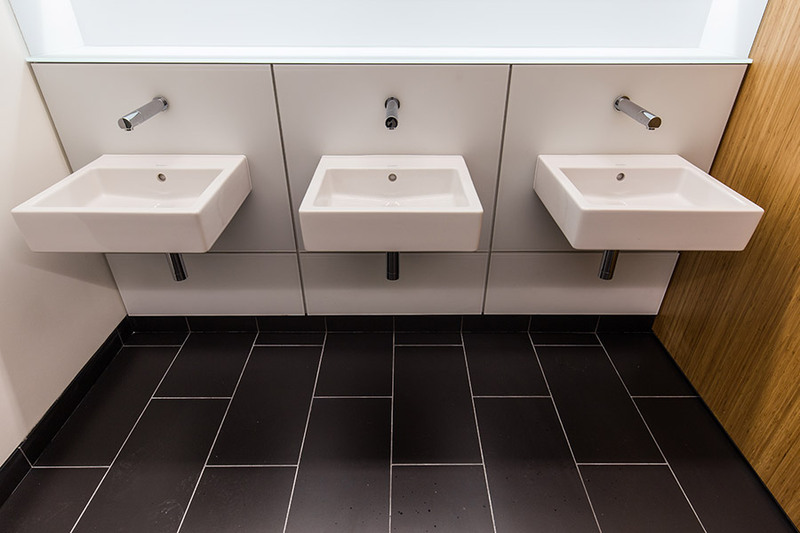 Simple wall-mounted sinks feature alongside wall-mounted taps with vanity under panels and splashbacks faced with the same acid etch matt glass effect, complete the minimalistic design.